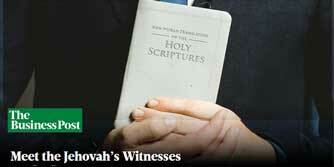 Scott Terry talks to two young Jehovah’s Witnesses who are standing at their literature cart. The conversation that ensues is compelling. It provides an insightful view into the minds of Jehovah’s Witnesses. It helps us see what they know and what they do not know. 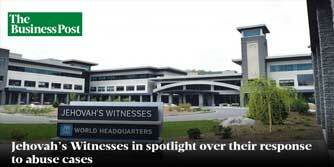 Does Scott Terry prove that the information provided to Jehovah’s Witnesses is carefully controlled? I had an interesting conversation with a young Jehovah’s Witness couple today that might be useful to others in this group. I rarely attempt discussion with Jehovah’s Witnesses at their little literature carts, but this young couple was sitting outside the supermarket when I went in, ignoring everyone who passed them. It turned out that the couple had recently married. They were both aged 23. They didn’t take offense at my comment, which I had offered with a smile. They explained that they didn’t like to force themselves on anyone. But I was welcome to take any literature I might like from their cart, they offered. I laughed, and then threw out something that was intentionally inflammatory. Again, very lighthearted and with a smile. I commented that I thought the Jehovah’s Witness organization was more evil today than it was when I was a member. The husband asked for examples to back up why I felt that way. I then explained that when I was a Witness, the 1994 Awake! magazine included a little reference inside the front page, repeating their prediction that millions of people would never die. I told them that the organization had removed it from the 1996 Awake! when it became obvious that the prediction was lunacy. Again, this young couple had absolutely no knowledge of any of this. And that’s when the conversation got really interesting for me. 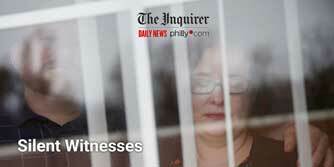 It was the first time I have ever felt that I had gotten into some Witnesses’ heads and made them think. This young couple had no knowledge of that great speech from 100 years ago, and I could see it made them uncomfortable to learn something about their religion from a former member. I then told the couple that not too many years ago, the Organization referenced the existence of that great speech of 1918 in the February 15 2010 Watchtower magazine [pages 15 & 16, paragraph 8], but they had changed the title of it from “Will Never Die” to “May Never Die.” That falsification of their history made them evil, in my opinion. I then mentioned the Australian Royal Commission hearings. I mentioned the Candace Conti case which had taken place less than 5 miles away from where we were having the conversation. I mentioned all the problems with pedophiles in the congregations. They had never heard of any of it. 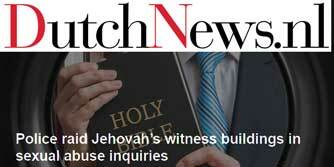 I asked them how long they had been Jehovah’s Witnesses. Both had been in since childhood. The husband had been baptized at age 11. I told him that when I was a Witness, the organization did not believe in baptizing children; we were quite proud to be “different” from other religions in that we believed that children couldn’t make such a commitment. Again, this young couple really seemed to pause at that. Every time I gave an example, it showed how little they knew about their own religion’s history. And the more it became clear how things are different today, the more pensive they became. I mentioned the names of the Governing Body members. The young couple started laughing when I referred to Tony Morris as “Tony Tight Pants”, and then they simultaneously looked at me and asked, “How did you know about that?” The knowledge that a former member was aware of Tony Tight Pant’s speech about tight pants rattled them. Showing them that I knew more about their religion seemed to strike a chord with them. At one point in the conversation the young man informed me that the Jehovah’s Witnesses’ faith was growing and gaining new members all over the globe. I informed him that their growth was coming from third world countries only. Developed countries, (i.e., Canada, USA, UK, Australia, etc.) were seeing huge losses in membership [see 2017 Yearbook]. Again, he was really struck by that. Learning something about his faith from a former member seemed very unsettling to him. We ended with me wishing them the best, and mentioning how young they were and had their whole lives ahead of them. It was probably one of the best conversations I have ever had with Jehovah’s Witnesses. I hope I can repeat it again sometime.